The Suramar questline steadily unravels ancient Elven history, from the time before the coming of the Burning Legion to the destruction of the Well of Eternity, and presents you with a gradually unfolding picture of Elvenkind and their society. It gives you a sense that the Elves as we know them today were once one people. The traits we see as Night Elven, Blood Elven, High Elven or even Nightborne were once common traits across all Elves. There was once a single Elven nation that spanned the entirety of a Kalimdor that had roots in what is now Northrend, Kalimdor and the Eastern Kingdoms, and which every Elven nation on Azeroth today is but a remnant. 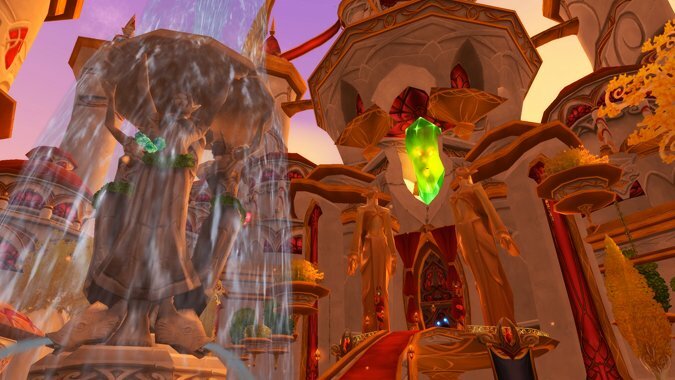 Even mighty Suramar, which on first look appears to have weathered the Sundering and the last 10,000 years unchanged, is in fact wildly altered from what it once was. Rather than a jewel of the Kal’dorei, part of their vast and expansive nation, Suramar is a piece of flotsam, a city in a bottle drifting in time to reach the modern day with its people long since bound in servitude not to a person, not even to an ideal, but to a creation of magic. The Nighwell made the Nighborne — the Shal’dorei would not be what they are now if not for its constant presence for the past ten millennia. We’ve discussed the events of the War of the Ancients before. For now, it’s enough to say that before that ancient conflict, there were no other elves than Kal’dorei. The Quel’dorei weren’t a separate people, merely a caste that considered themselves the ruling elite of the Night Elves. (It’s debatable if Night Elf is even a proper translation of the word Kal’dorei, which means Children of the Stars in Darnassian, the language of the ancient Night Elf people.) There were no Naga, no Sin’dorei, and no Shal’dorei at all in that distant time. For thousands of years the Night Elves grew in power and prestige, defeating the Troll Empires, balking the Mogu from expanding, and eventually alienating their Pandaren successors with their devotion to the arcane. To these ancient Elves, magic was metaphorical food and drink, and their rule over the world of Azeroth seemed assured. Even as some within Night Elven society tried to hold on to the old ways of revering nature and worshiping Elune the moon goddess, their society became ever more devoted to the arcane power they could so easily draw from the Well of Eternity. The Well was what made Elves in the first place — while no Elf knew what they were before they’d come to settle on the shores of that seething magical inland ocean, they all knew they were its children and they believed that Elune herself slept in the Well during the day. Their obsession with the Well and its power, over thousands of years, led them to the creation of their grand cities and their proud settlements. All of that changed when Azshara came to power and set her most trusted Highborne servants to plumb the Well’s secrets. Xavius, her chief magician, made contact with Sargeras himself, who sought Azeroth and the Well’s power for his own reasons. Xavius led Azshara to the Well and to contact with the Dark Titan, and in his impossible power she saw the only mate fit for her, and doomed her people. And even though Elves survived the War of the Ancients, it can’t be argued that they survived as the people they had been. Each group of Elves that made it through the Sundering lived in a very different world, and had to change to adapt to it. It must be said that modern Night Elves, while physically very similar to how they looked at the time of Queen Azshara, are a completely different culture. 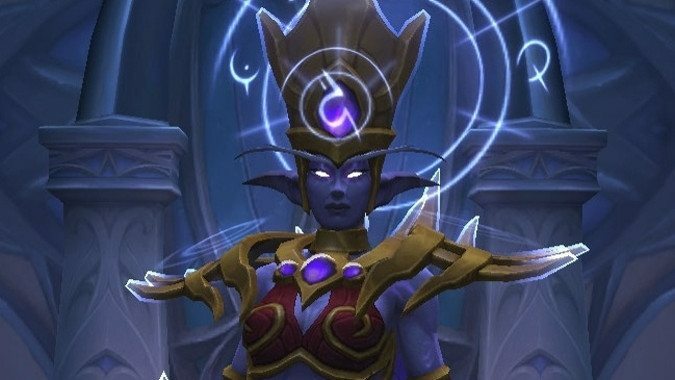 Even though many of their leadership (Maiev Shadowsong, Jarod Shadowsong, Shandris Feathermoon, Malfurion Stormrage and Tyrande Whisperwind) are from Suramar they are almost unrecognizable to a Suramar Nightborne who encounters them. Elisande calls the Night Elves savages when she encounters them, and it’s not surprising that she’d think so. The almost total rejection of arcane magic in Kal’dorei society has made it wholly different from the Night Elves who lived before the Sundering. 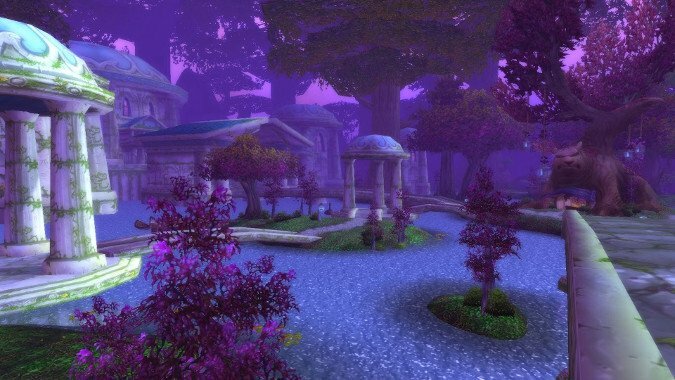 No graceful magical cities for the Night Elves — before the founding of Darnassus after the Third War, it was hard to even find a Night Elven settlement you’d call a city, really. They lived from Feralas to Winterspring, with Hyjal as the spiritual center of their society and Moonglade a respite for the Druids in their Barrow Dens. Meanwhile, their Quel’dorei cousins who couldn’t bear to abandon magic ended up either stranded in ancient Eldre’Thalas (to re-emerge into the world some 10,000 years later when Deathwing’s Shattering created a new disaster for Azeroth) or exiled from the new Night Elven lands, to sail east and found a new nation in Quel’Thalas. These High Elves would create a new font of power for themselves called the Sunwell and its use would gradually change them over the years until they became physically distinct from their Night Elf cousins. The modern Quel’dorei and their far more numerous Sin’dorei (Blood Elves) kin date from this exodus, led by Dath’remar Sunstrider. Meanwhile, within Suramar City, a barrier created by Elisande and her loyal followers in Azshara’s order of relic hunters saved the city from the worldwide destruction caused by the Well of Eternity. 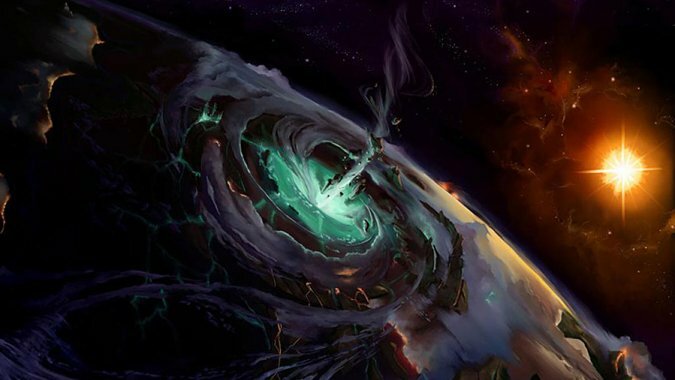 Using one of those relics, the Eye of Aman’Thul, Elisande created the Nightwell to replace the Well of Eternity and supply her people with not only the magical power they’d lost when the Well was destroyed, but access to sustenance since they were trapped inside the city. The Nightwell’s power appears to also extend to control over time as well, which may explain why the inhabitants could endure for 10,000 years without access to the immortality the Night Elves were granted by the Dragon Aspects. Nozdormu’s blessing to the World Tree Nordrassil flowed from the power granted to the Bronze Dragonflight by Aman’Thul, and the Eye of Aman’Thul likewise drew from that same power. So for thousands of years, the Elven people were fragmented. Those that chose to preserve the Arcane were exiled to another continent or isolated in Dire Maul, drawing upon the power of a trapped demon to sate their pangs at the loss of the Well. The vastly magical Shal’dorei (Children of the Night in what I’ve come to call Shalassian, the Elven dialect spoken in Suramar) imprisoned within a bubble and utterly bound to the Nightwell. 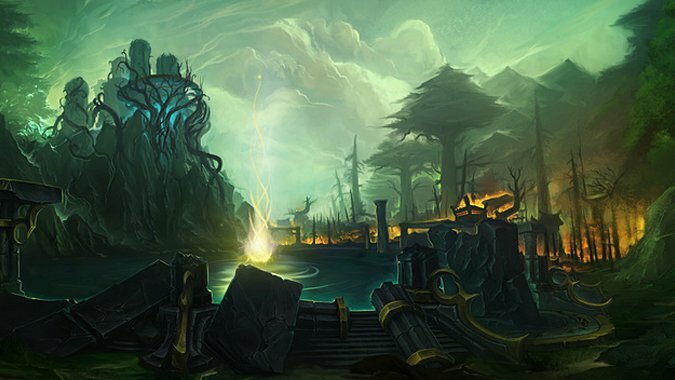 And the remaining Night Elves having forsaken Arcane magic so completely that they could no longer sustain so vast an empire even if they’d desired to, turned to the magical power of the priesthood of Elune and the nature magic of the new Druids, who sought a balance that the botanist mages of the past had never achieved. Amazingly, the return of the Burning Legion (the same vast cosmic army of demons that so thoroughly shattered Elven unity 10,000 years ago) seems to have brought the Elven peoples of Azeroth together again. It began with Gul’dan’s arrival in Suramar and Elisande’s decision to ally with the Legion rather than allow her people to be destroyed. With her mastery of the Nightwell, Elisande searched the future for any possible way to defeat them, to preserve her people as she had for millennia… and for all her power over time she could find nothing save capitulation. No path she could foresee led to a future for her people save working with the Legion, and so, after ten thousand years born from a moment of resistance against Azshara and the Legion, she chose to collaborate. 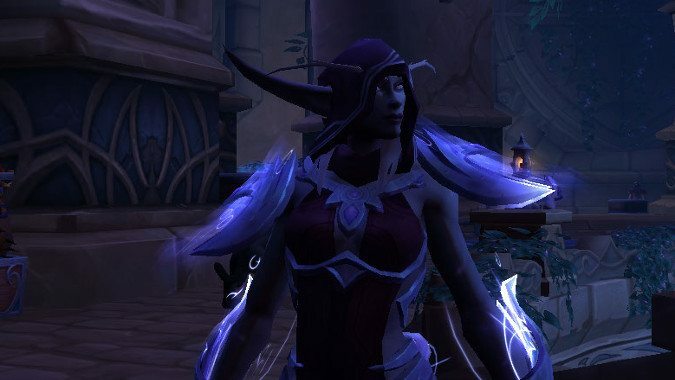 This decision led to every decision that followed — Thalyssra’s attempted coup, its failure, her near death and exile from Suramar, her descent into becoming Nightfallen. And without this chain of actions, she would never have reached out to the larger world for aid. Without that, who knows what would have happened? 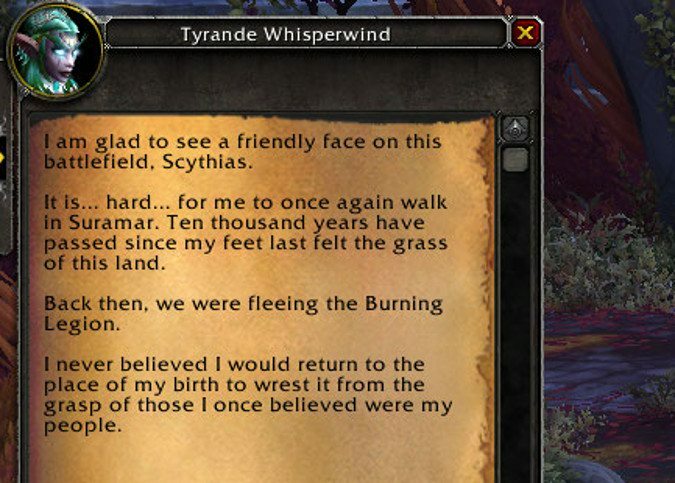 Likely Thalyssra would have found herself in charge of a Suramar with the Legion camped on its doorstep and no one to help them, and just as likely to be destroyed as it was under Elisande. In a way, Elisande was right, because there was no way to foresee the path of circumstances that would lead from her decision to work with the Legion. She couldn’t foresee all the choices she’d have to make, how she would come to betray her own people in her desperation to save them. Nor could she imagine that the Kirin Tor would send a champion to Thalyssra who would help unify Nightfallen and Nightborne dissidents, make alliances with refugees from Val’Sharah and the remnants of the Moon Guard themselves. And then, the absolutely unthinkable — the coming of the Blood Elves (Sin’dorei) under Liadrin’s command, the High Elves (Quel’dorei) under Vereesa Windrunner’s banner, and the Night Elves of Darnassus under native born Suramarian Tyrande Whisperwind. 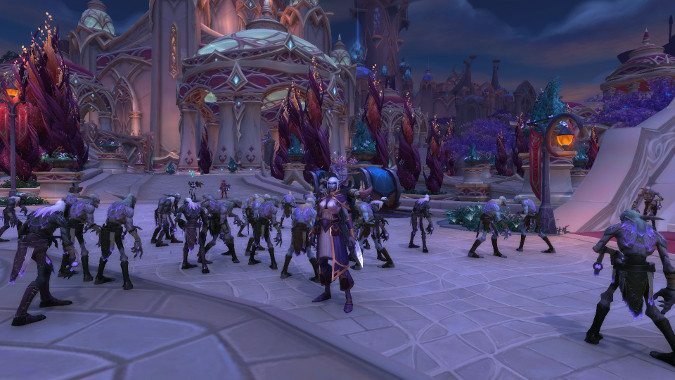 Together with Thalyssra’s Nightfallen and defectors from Suramar’s Nightborne, these disparate forces would march on Suramar to overthrow Elisande and prevent the Legion from using the Nightwell, as had been their entire plan from the moment Gul’dan arrived in Suramar with his offer to Elisande. What does the future hold for Elves? It’s unlikely that this moment of cooperation can heal rifts this old. There will likely never be true rapprochement between the children of the stars, of noble birth, of blood and the night. But in the towers of Suramar something happened that hasn’t happens in over ten thousand years. An army of Elves defied the Legion and fought as one, bound by their ancient ties to Azeroth and their shared blood. Elves forgot, if but for a moment, all the things that divide them and instead chose to stand together in defiance. Perhaps it means nothing. We’ll find out. Even Elisande didn’t see this coming, after all.